A while ago, I wrote an article about gaming keyboards and mice and how they can help improve you as a player. The biggest advantage of either of these “tools” to most gamers are the large amount of programmable keys. This means that running out of available (or comfortable) keys to bind various skills to is a thing of the past. It makes us better players in that we’re more equipped to handle any situation and we can do so speedily. (If you run out of keys and have to begin resorting to “clicking” those skills you don’t use as often, your reaction speed will equate to that of a snail). In the article on the keyboards, I specifically mentioned a quality of the Logitech keyboards that can be quite invaluable to some gamers. The G-Keys are macro-able which opens up certain possibilities to crafters. For anyone out there with Inscription or Enchanting, a familiar annoyance will be the time you can spend disenchanting or milling herbs. Friends will frequently mail them to you as they need the materials for their own purposes. What they frequently don’t realise is, that unlike crafting, you can’t set the game up to automate these processes. There is no disenchant all or mill all options with the default UI. There are no addons that will do this for you either. It is possible, via other means, to mass mill or mass disenchant. These means require the use of third party software however and are strictly against Blizzard’s EULA for World of Warcraft. Through the use of the G Keys featured on the newer Logitech gaming keyboards (the G11 onwards I believe) and an addon running in game, you can create mass mill or mass disenchant macros for World of Warcraft. There is a downside, in game macros will only keep running while you are tabbed into the game. Due to this, the macros need to be left alone to run whilst you don’t need your PC for anything else. Does it beat staring at a screen and clicking through stacks of herbs or green items? Oh yes! What follows is a guide on exactly how to set this up. It’s going to be image heavy as it features a walk through of all the stages in setting up the macros. First things first, you need to grab an addon called Panda. I have no idea if there are other addons out there that can be used to the same ends. I suspect there are but I have always used Panda and since it has served it’s purpose with no problems, I’ve never bothered looking for alternatives. This guide will demonstrate how to set up a mass milling macro. I don’t have an enchanter in game so sadly, I can’t provide the same screenshot walk throughs that I can for milling. The concepts are identical however. 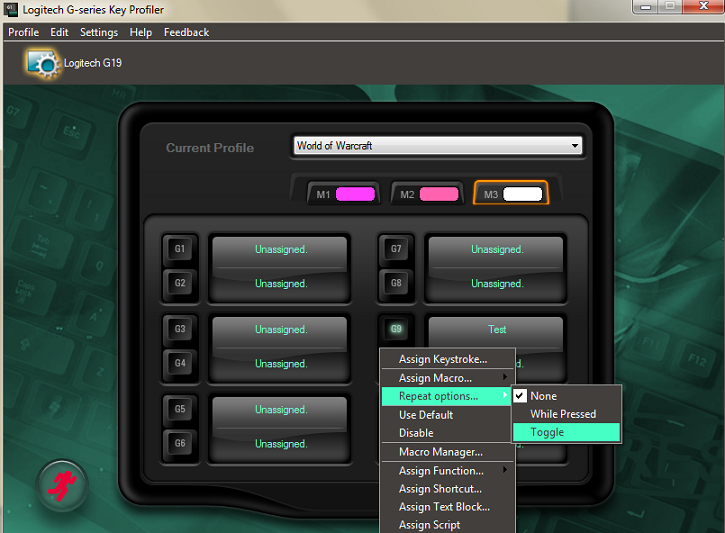 Typing /panda in game will open the addon’s main window. 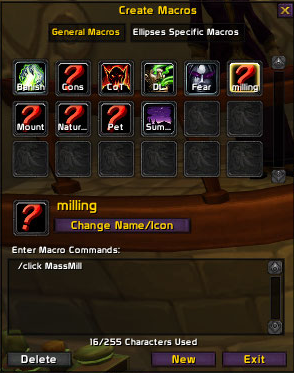 Above you can see a screenshot of the Milling section of the addon. 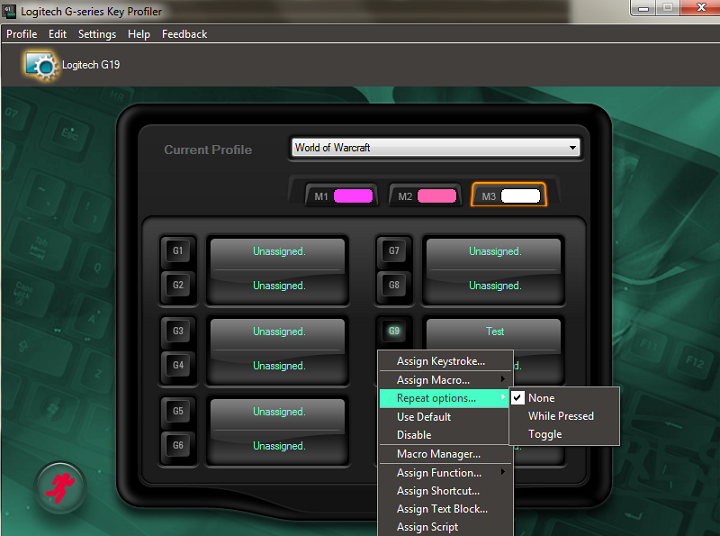 As you can see, there is a mass milling option designed to be used as part of simple in game macros. The next step is creating this macro. Obviously, be sure to use a key that you don’t need for anything else and that won’t hinder your game play. In it’s simplest form you now have one key that you can hit to mill all the herbs in your inventory. If you don’t mind taking the time to do that, then this might be sufficient for you. Once you’ve opened the software, simply left clicking on the button you want to assign your macro to will bring up the menu seen in the picture above. Scroll down and select Macro Manager. 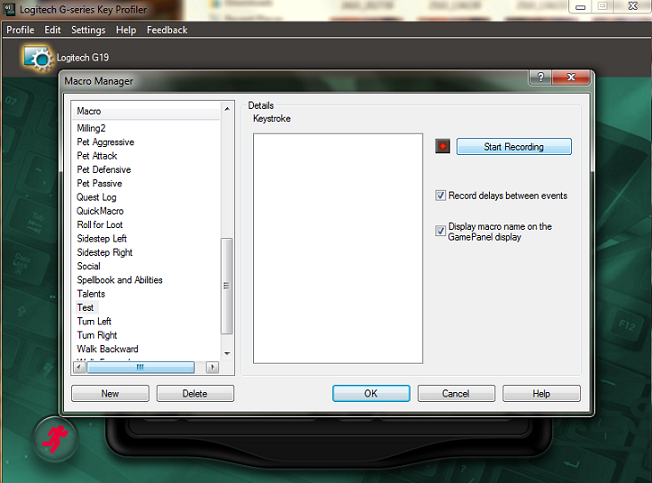 This will open a new window aptly named, Macro Manager. You need to create a new macro by clicking on the button in the bottom left of the screen (see below). Be sure to name your macro so you don’t forget what it is at a later date. 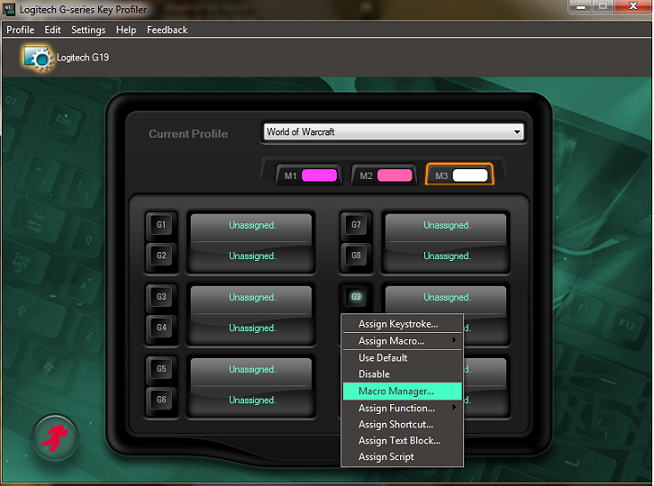 The “Toggle” option causes the macro to begin running when you first hit your key bind and continue repeating until you hit it again. 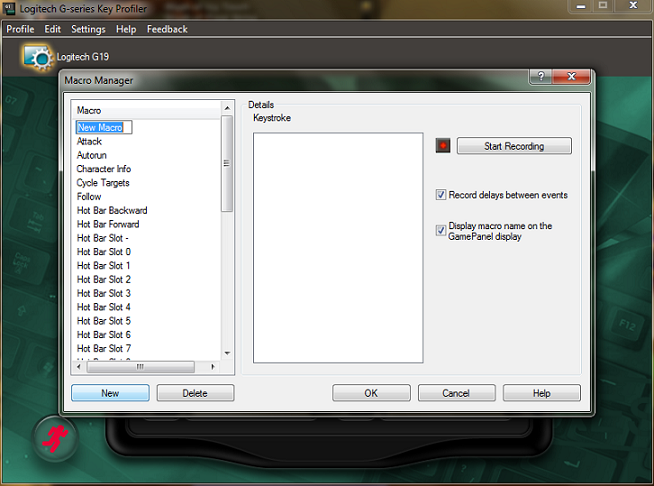 This effectively allows you to go AFK and leave the macro running. There are a few things to note while using this macro. Firstly, you need enough bag space to account for all the materials you can receive back from what you’re milling or disenchanting. For this reason, I’d general recommend doing batches that yield the same material types. Secondly, for the enchanters, be sure you’re not carrying spare gear or offspec gear sets, the macro will simply disenchant anything it can. Thirdly, as I mentioned initially, tabbing out will stop your macro from running. Remember this is only set up in game. However, in the ten minutes it takes you to go AFK and make a coffee or some lunch, you can return to an inventory stocked with crafting materials. You need to turn auto-loot on under the game’s interface. 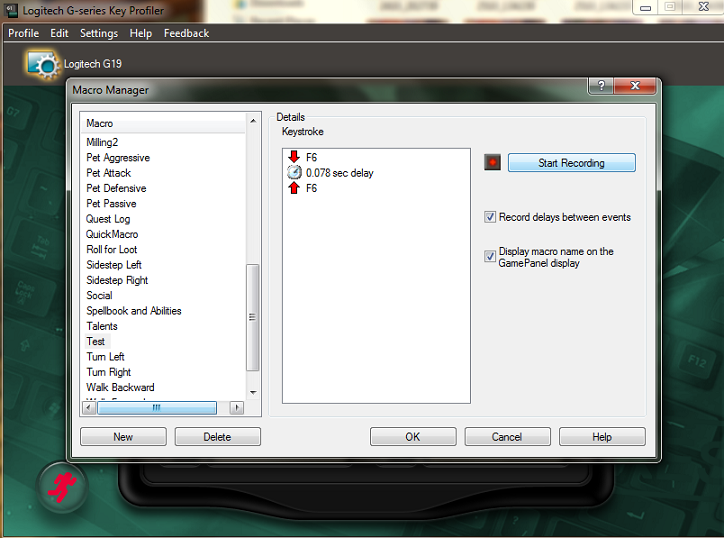 Chatting or doing anything else in game will interrupt your macro and you’ll need to hit the key again to restart it.